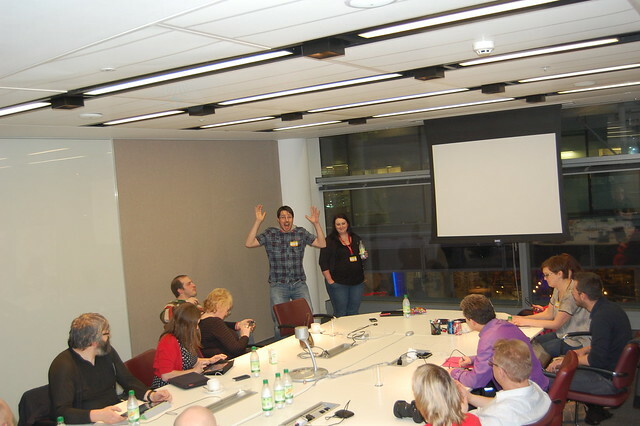 #UKGC12 – Content Strategy WTF! A long overdue post…and I suspect it won’t add a great deal to this excellent summary by Sarah Lay, who co-hosted the session with me but I’ll share my perspective nonetheless. The whole idea of the session came about because of Sarah and myself chatting and constructively challenging each other over what is and isn’t content strategy in local government. Content strategy is a game changer – changing the thinking built up over the las 10 years since the start of the egovernment agenda – this triggered the anti-user approach in developing websites in my humble opinion…it essentially turned sites that were aimed at users into mediocre corporately assimilated content waste lands…lacking in any meaning as to how to build and manager a community and help move aspects of communications and service interaction into more efficient channels…but that is the past…we can learn from it, but we must first recognise the mistakes we made…not everyone made them but most did…this is all just my opinion of course but localgov as a community needs to think about how it develops its online and digital offering better – perhaps in a similar reboot approach taken by the GDS…it does not matter what you call it…but it does need to think about some key principles, for example one might be.. getting content to people and not people to websites…this then provides the drivers for your content in social spaces as opposed to having a specific focus on social media….this does not mean you shouldn’t develop specific channel standards, in fact this reinforces the need for standards within channels…but based on managing your content flow in it and how you might monitor or measure it. The more we spoke the more I guess we sounded a bit like a local council version of the government digital service…and this was reinforced when hearing Mike Bracken and his presentation on the Government Digital Service which directly followed our session in the main auditorium…much of what he said was resonating with me and whether or not others thought the same but for me at least i actually felt like i shared the ambitions of central government when it comes to web…this is the first time since i started in local gov web back in 2003…so a major break through in my opinion. The saturday session for me was not exactly what I had hoped for…this was mainly down to the fact that I had naively assumed that the people who were engaged and committed to helping on friday were in fact not there on the saturday…But that didn’t mean the session didn’t prove valuable nonetheless. Ok, so we didn’t create a framework, we didn’t get to a comprehensive list of components…but what we did get to was as Sarah refers to her summary was that we should create a “Content Strategy Community”. So yes, we are planning on pulling together a space for a community to come together…we are currently looking at a set of tools and how these might fit together to best suit the needs of a community as well as more formal and sustainable place for it to be hosted. This seems like a really good idea!